Upgrade. How God is doing it via Deuteronomy 31:6? Many times maybe we say to ourselves that we are not alone in this battle but actually sometimes, we feel we are. I am still in wanderlust after all those months. I don't wanna sound so travel-ly or churchy though but i am still awe of what happened to me there -- meeting people, culture and God all at the same time. Travelling has always been my escape and time to get closer to God. This time, it was even more different, He was talking to me directly. 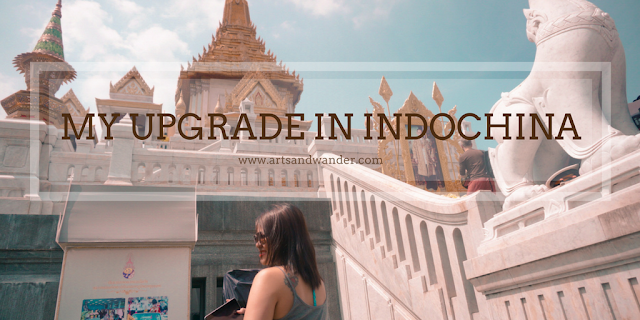 Last October, i went to seize Indochina with friends in a 5 day travel crawl from nation to nation. I learned and gained experiences because of many circumstances that happened to us along the way especially the locals, transportation and food. In our journey in life, we are always excited about our road of journey. We prepare for it and dream of it the way we want to be. But sometimes the road to be there or the journey itself is a struggle. Many say that it is the climb/journey not the destination, many times this is true. And how do you continue your journey when while on your way you are troubled, distracted and in despair? While travelling in a sleeper bus from Lak Sao to Vientiane as the sunrays and summery skies are striking everywhere, i felt homesick. Because i am familiar with the place, resembled to my home country, to my own province. At that moment, i am in the unknown, far from my family, my friends, my comfort circle, my safe zone, i knew how it felt to be miles away from home. It was chilling in the bones, the feeling of being lost, unsafe, and an alien in a nation. We also feel the same way even in our circle, safe zone, comfort zone. 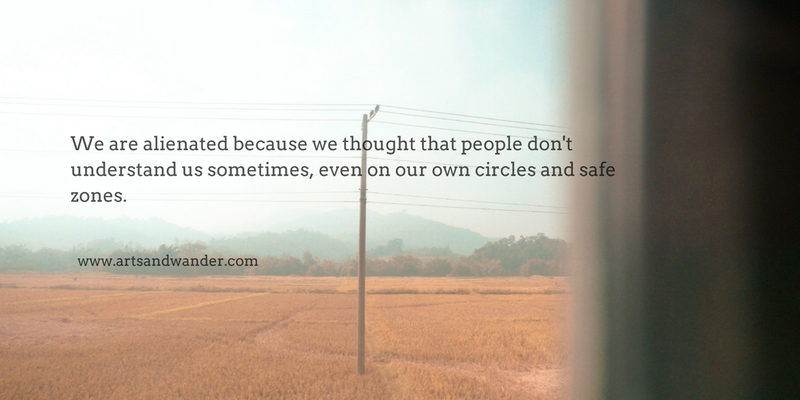 We are alienated because we thought that people don't understand us sometimes in our decisions or just they don't understand us of who we are. 26 hours of travelling from Hanoi to Vientiane was not easy. More than the unnerving of the unknown is the time that we were just laying down and waiting for time to pass, checking our timepieces and estimating our arrival, our escape from the season of waiting, the season of hell in heaven. 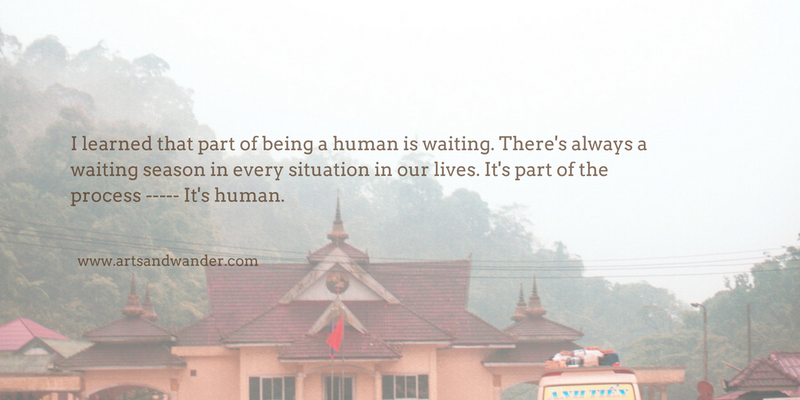 I learned that part of being a human is waiting. There's always a waiting season in every situations in our lives. It's part of the process, it's human. Your best dish will be served after few minutes. If t's a specialty, you'll wait. 30 minutes. You're buying that long waited book in a sale season. You'll drop and wait in lines. You want the zip of that coffee. Brewed. Wait for the coffee maker to finish brewing. In all aspects of our life we are waiting. So learn to wait for your reward. It's part of the everyday process. There are learnings along the waiting. Jacob waited 14 years to marry Rachel. From Egypt to Promised land: 40 years for the Israelites. That week, God has been telling me that I am not alone because He is with me all along at that time as i am soaked into a different culture, people and taste. 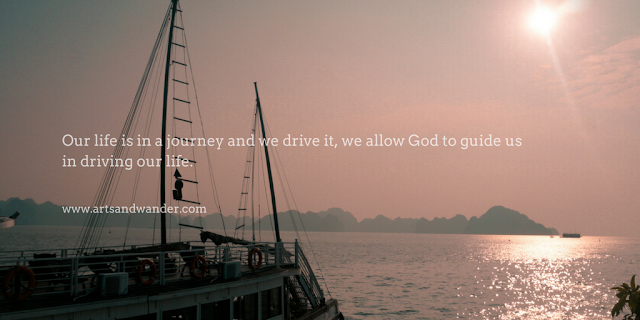 Our life is in a journey and we drive it, we allow God to guide us in driving our life. We wait, sometimes it's too long and sleepless, and nerve wrecking and we get confused but think and always remember that in our waiting God's working. He is working in our waiting -- Ok, maybe this has been played too much but it's true. God is working, God is working in your life. He gives you patience, peace, perseverance and many other things you can learn while you wait. Isn't this special? that as you wait, God is working on your character, God is turning you into a better version of yourself. 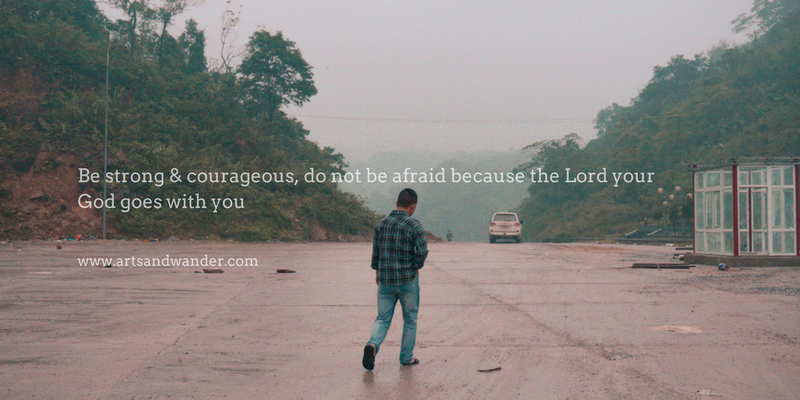 Whatever season in your life today, whether you found your victory and your answers or you are waiting, remember that you have to take courage because you are not alone in this journey. Wait. It's part of being a human. The Road is Tough. But it is the journey. Wait. Because he works in you. He's making a new version of you!.An upgrade. Nice article to share about your travels. It gave you rich exposure and better experience to understand about our lives and time on earth. It is just a journey we have to walk and it is so true that we always waiting for something! Thanks man, this is so true that when you travel you become a storyteller too! these quotes are superb, so touching and inspirational. Waiting is in Human nature. Thanks for your comment. Always be in touch. Awe! Thanks so much shweta! Thanks for your lovely comment dear, come to India to experience the adventure. That's crazy, given the chance, i would want to! This was a blessing to read. Very encouraging! Thank you. Thanks Sandi, hope you got blessed today too! Sometimes waiting is not easy but we must, for everything has its timing and God's timing is the best time! I'm happy that you're closer to God whenever you travel. I'm happy that you've gained the strength through your struggle. Oh man, 26 hours of traveling is a long time! Thank you for sharing your perspective! Yeah, that was really long. Yes, travelling is so fun, it's a time of isolation to comfort zone so God is really gonna be there with yah! It is beautiful when a trip becomes a journey and the cosmos or God speaks to you, and he does this by conveying his message through his marvelous works and not through men. It is interesting also that I am reading this at this moment of my life when I am about to embark on a journey in my life. It's so nice of you to share this. one of the most interesting things about travelling is having a lot of different thoughts and emotions crowd our minds in a relatively short span of time - excitement bleeds into boredom, enjoyment into concern ... and it makes us really reflect about ourselves. i think you expressed that really well in this post. wishing you safe travels. Thank you Sean, I really appreciate this!